Awards | Finance & Economics!!! Here i post all my awards! 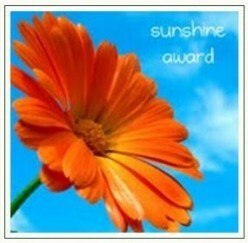 1)The Sunshine Award:Thank you “The Why About This”, http://thewhyaboutthis.com/ for nominating me for this blogging award. Sunshine is an special ward for me. I find the person who nominated me very special, since she has an interesting attitude and thoughts about life . I strongly encourage you to stop by her blog. Favorite bad habit: Not only one. I love bad habits! Favorite time of day: The DaY. Favorite time of year: Whole year! Favorite Christmas movie: Every happy-ending movie! Favorite thing: All the things around me. I’m going to nominate here a few bloggers that I’ve visited recently and have found their blog sites amazing. I’ll be notifying them and if they are interested they’ll stop-by to check everything out! And there you have it. Attention Nominee’s: for those who want to continue, answer the same questions that I did up above and follow the rest of the Awards rules and there you have it. If you chose to decline. No worries. I feel good knowing I was able to give your blog a little recognition, in either event. Have fun blogging- Dan. I’m honored to be nominated for the sunshine award. Of course I will accept it!!. Your site is so technical and informative!!! Keep up the good blogging! Congratulations on all the awards. “At least it’s a natural number” 🙂 I got a laugh out of that. Congrats on your awards. I look forward to your blogs. Enjoy the weekend.